President of Kukkiwon arrested for violation of political funds and obstruction 13 December 2018, Seoul (Yonhap). 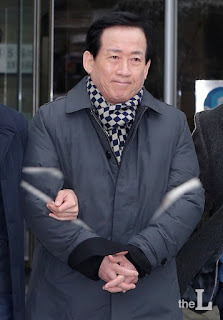 Oh Hyun Duk, the president of Kukkiwon is charged for violating political fund laws and obstruction. Oh, presumed 5th dan in Taekwondo, obtained in the militia, who in assuming the position as President of Kukkiwon jumped of degree to become 9 ° Dan, after several investigations there are no records of examinations with his name or of professors who had him as a pupil. During the course of their management, grade jumps were carried out paying a ' jump quota ' by changing from 4 ° to 7 ° Dan, from 5 ° to 8 ° Dan and from 6 ° to 9 ° Dan, generating great disagreement in the global Taekwondo community as these jumps ' degraded ' the validity of them. In its management all certificates issued were signed by Kukkiwon, which causes them to be invalid because they were signed by an institution and not by a leader. Today, December 13, 2018, Oh has been arrested on suspicion of corruption with allegations of corruption, business obstruction, illegal political contributions, illicit recruitment, among others. The judge of the Institute of Investigation and Judicial training issued the arrest warrant. Previously, three arrest warrants were issued, which were not executed until today. Gentlemen leaders... This is not TAEKWONDO J.A. What is the source that says the certificates signed by Kukkiwon are not valid? In the Korean media news of the arrest says nothing of this. On what is that statement based? Thank you.